Do you like Mega Man? Do you like statuettes? First 4 Figures has a deal for you! 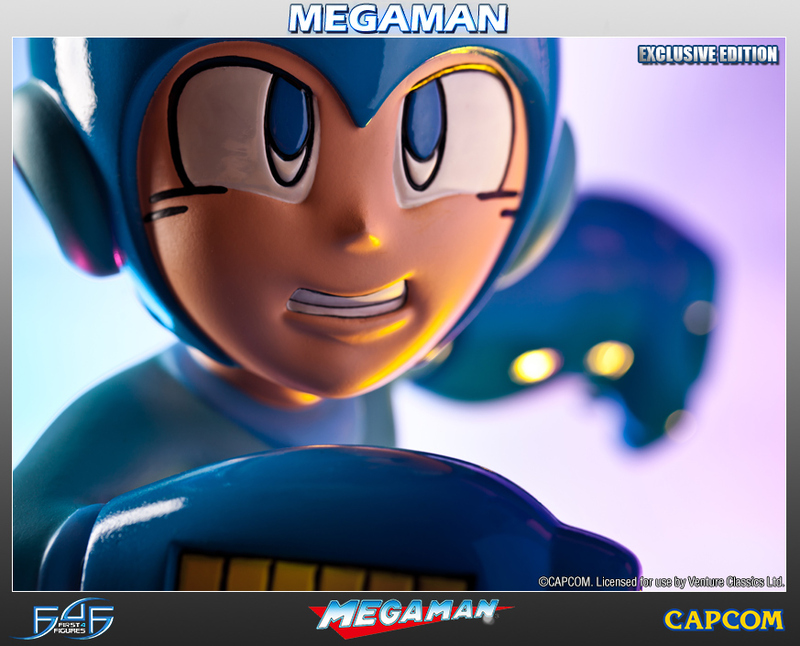 Their newest product is a Mega Man figurine based on Mega Man 2. 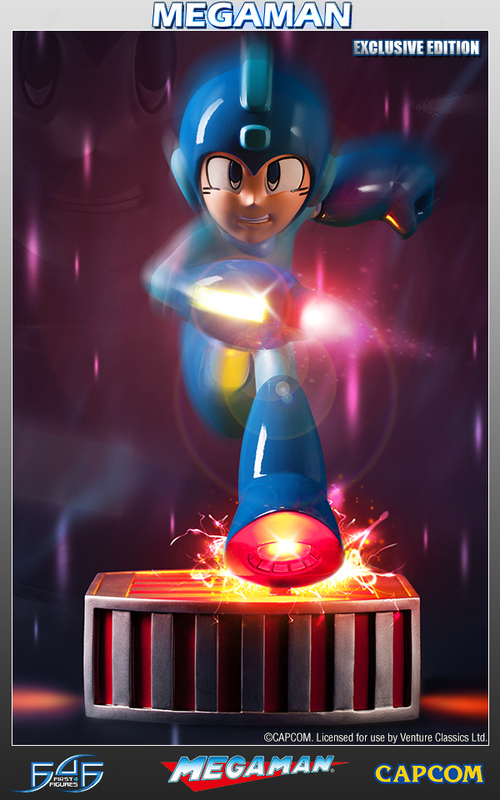 Here we have, Mega Man running along one of the gears from Metal Man’s stage. This Mega Man figure is just over a foot tall at 13″ and is cast out of polystone. There are even LED placed around the model to make it glow. If you’re interested in this Mega Man Figure, you need to act fast, because they’re only selling 550 statues total. Once those are gone, you’re out of luck. If you want one, it’ll cost you $229.99.